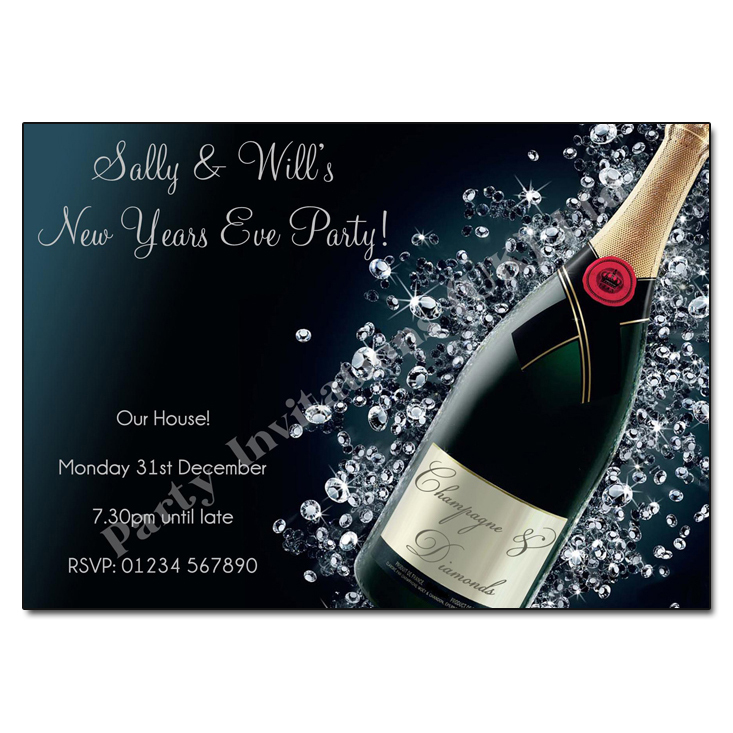 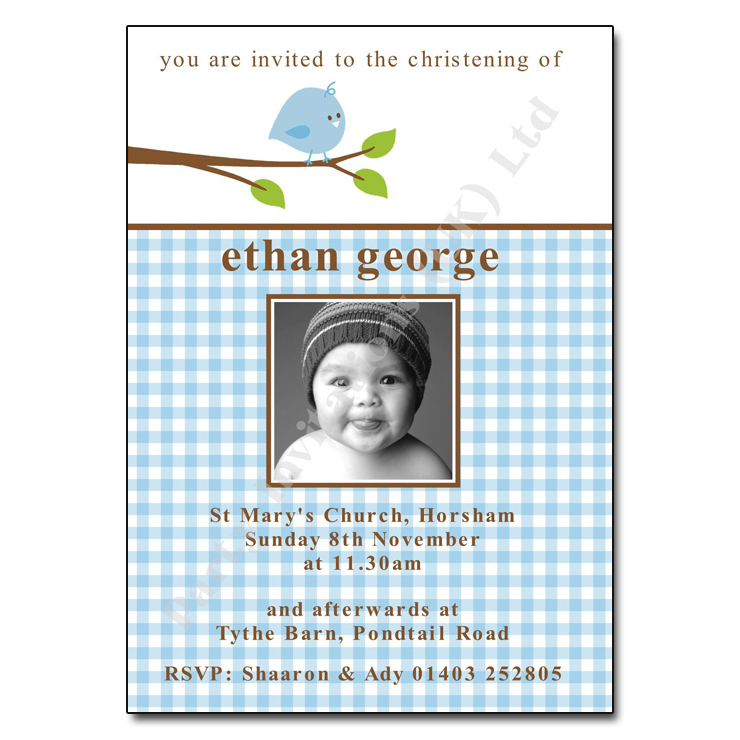 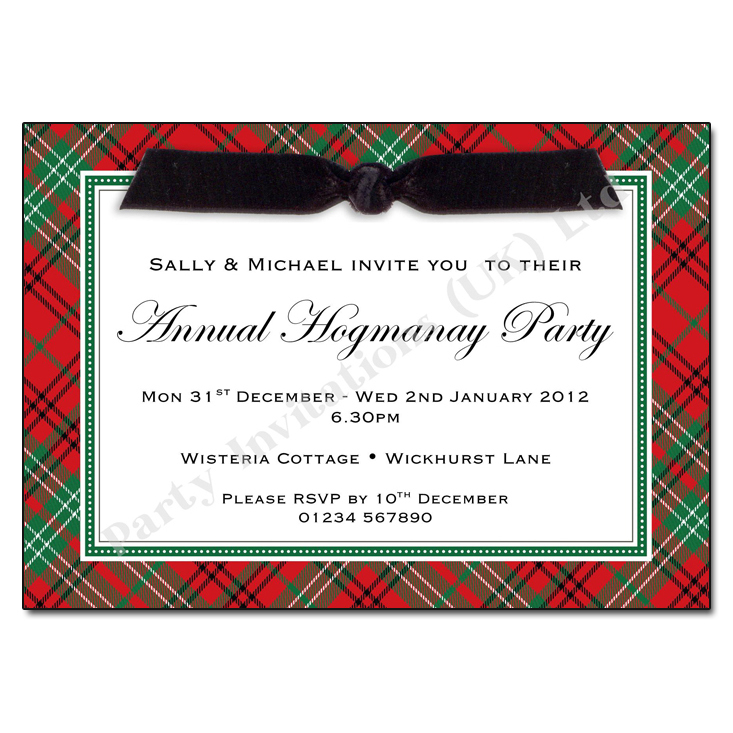 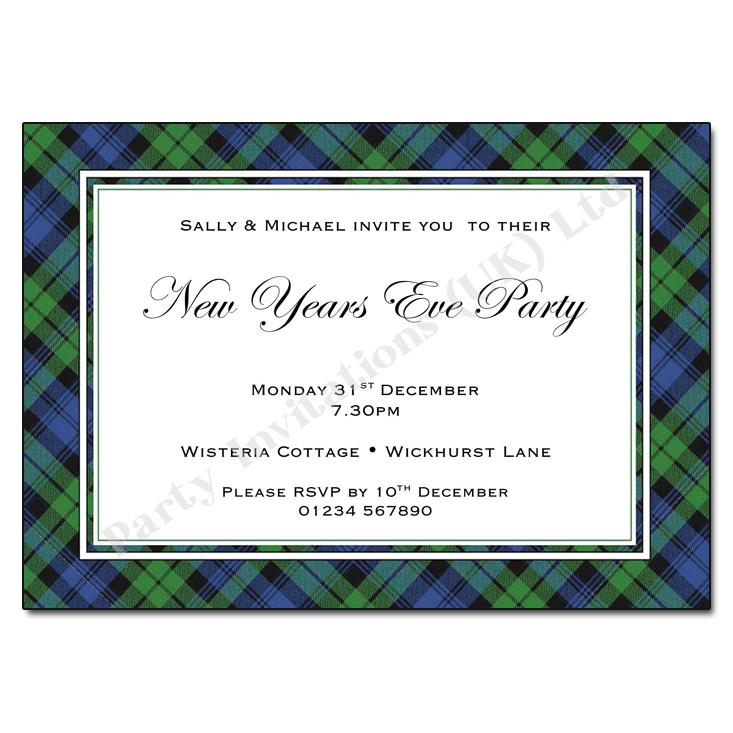 Get ready to ring in the New Year with these colourful party invitations. 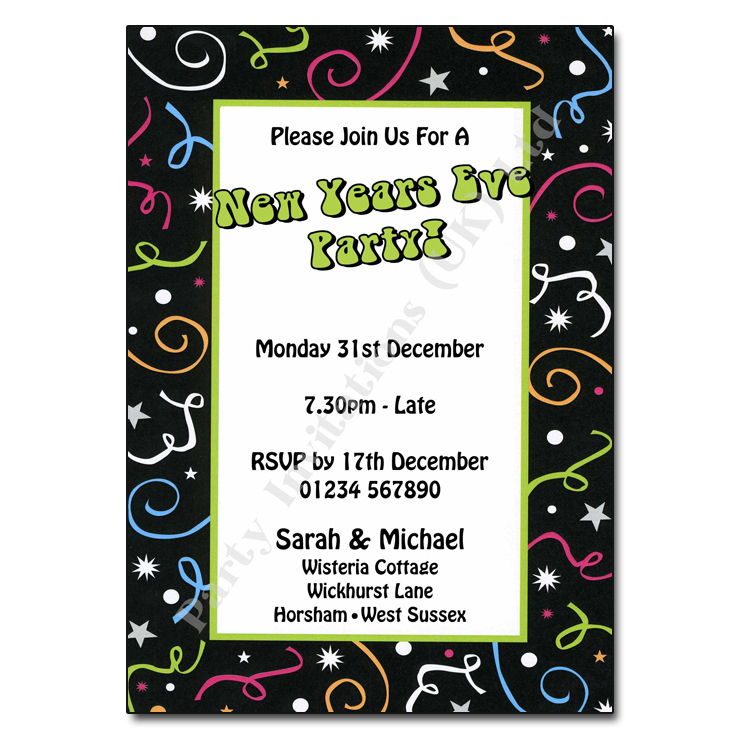 Confetti and streamers decorate the black border and the white centre section is framed by a green line that matches the name of the event – written in a retro style. 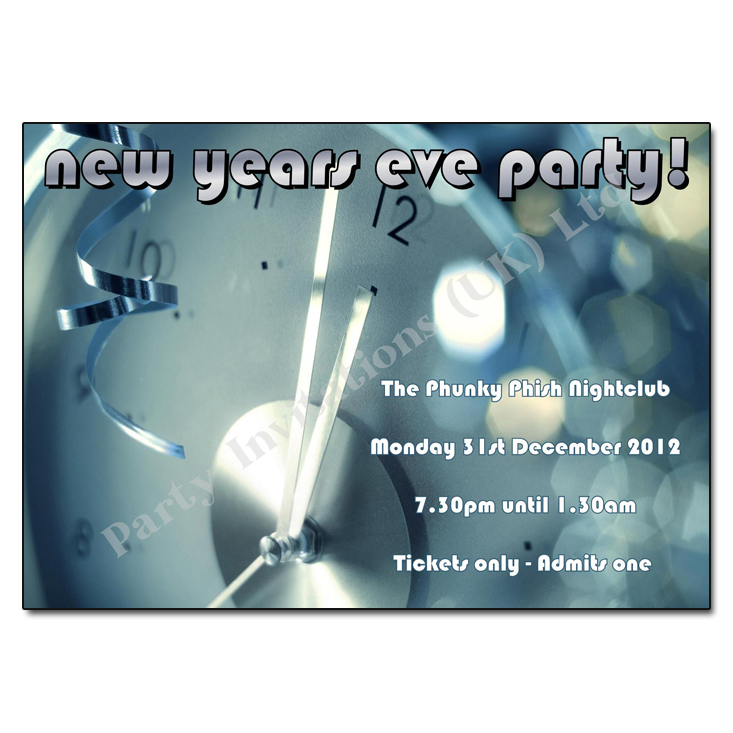 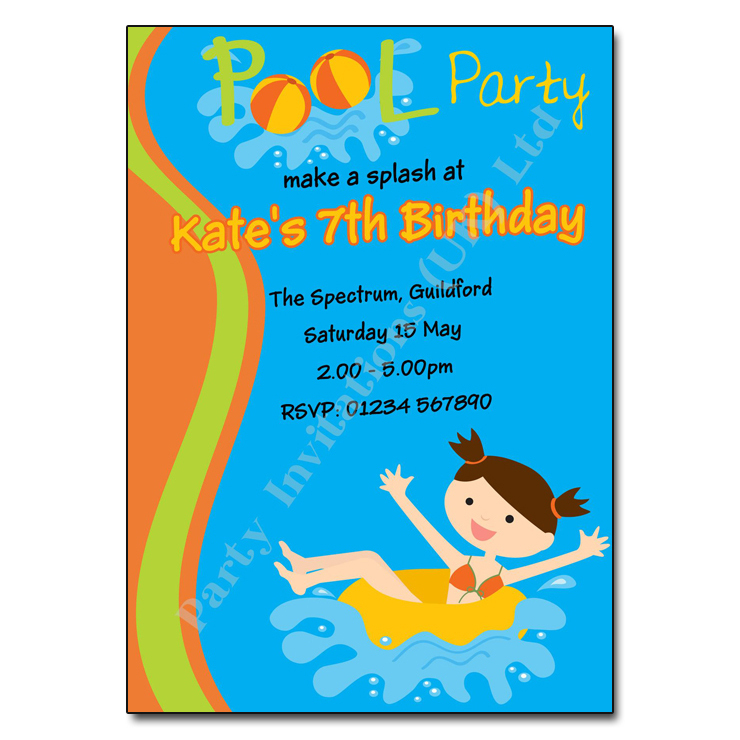 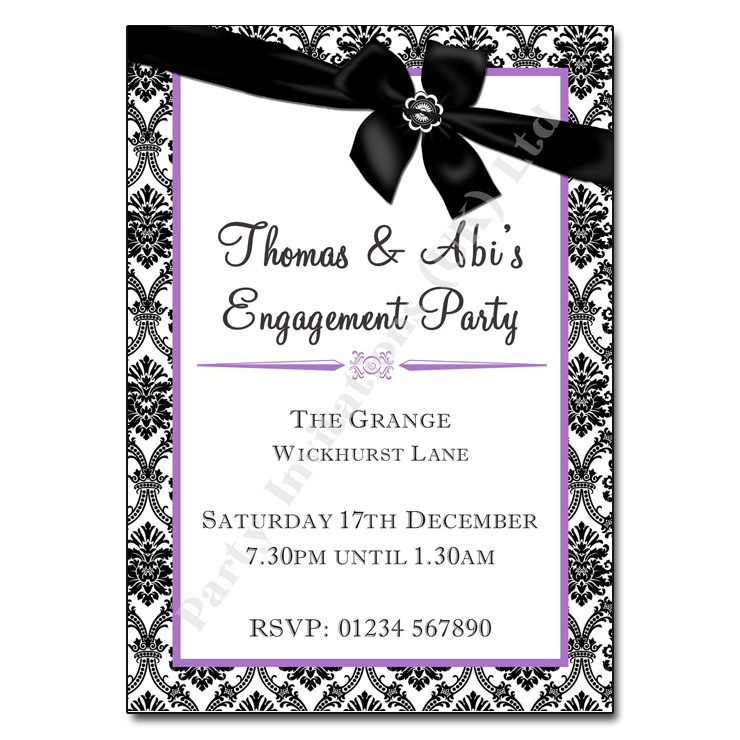 The other party details are displayed in black.